Despite Real Madrid’s incredible back to back Champions League success, alongside getting their hands on a La Liga trophy for the first time in five years, perhaps the team that has grabbed the attention of football fans across Europe this year the most has been Monaco. The football club based in the wealthy city state on the coastline of France first gained its global recognition through its lavish spending back in 2013 where following promotion to Ligue 1, the French side spent a hefty £150m bringing in the likes of Falcao and James Rodriguez. More recent years for Monaco have actually seen the club sway away from the path of grand spending and instead have started placing their faith in younger players, something that has seriously paid off this season. In fact, Monaco put an end to PSG’s League dominance as they prevented the illustrious city of Paris claiming their fifth consecutive title, acquiring the title with a tidy 8 point gap. On top of this, Monaco also impressed in the Champions League where they missed out on reaching the final to eventual runners up Juventus, but still no doubt exceeded expectations. After a successful campaign, Monaco however do not look set to build on their current team as inevitably much of Euope’s elite have been monitoring their top stars including the likes of Mbappe, Fabinho, Bakayoko, Mendy and of course Bernardo Silva who has already been snapped up by Manchester City. However one player who has not been subject to such heavy speculation has been Thomas Lemar, a player who has sparkled out on the left flank for the French side this season. Following United’s perusal of Ivan Perisic and the hefty price tag that Inter Milan are demanding for him, one must wonder if Jose should consider Lemar who looks available for a similar price. 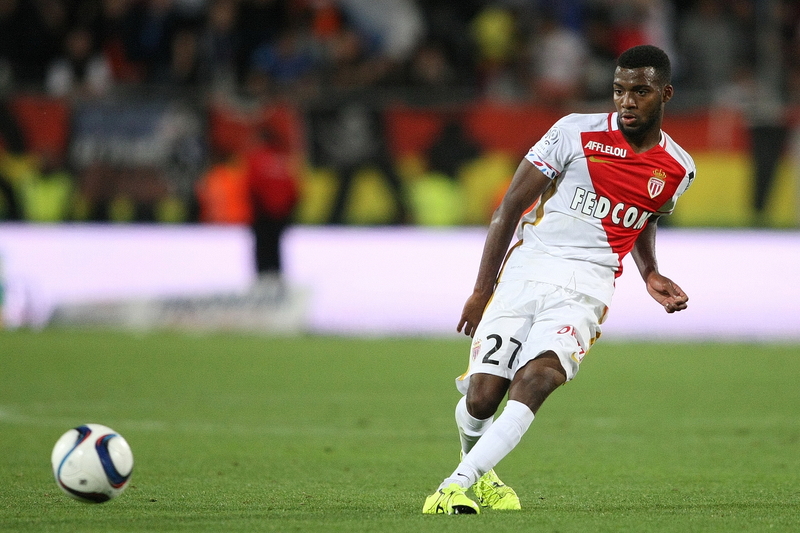 A young exciting French prospect joining Manchester United from Monaco, does it ring a bell? The potential signing of Lemar does of course draw almost exact parallels to the capture of Martial who joined United just two seasons ago. The signing of Martial no doubt highlighted just how effective new young blood can be as with his injection of pace and fearlessness to take defenders on, Martial reminded United fans of what a real attacking threat looks like down the left flank. For those who are not familiar with Lemar himself, this is something that the French winger does best. As oppose to Martial however, Lemar is a left footer and thus offers a different kind of threat down that left wing. With his preference to operate as an old fashioned winger that holds a lethal whipping cross, his statistic of 14 assists this season certainly suggesst he is as an effective one. Despite this, Lemar is still very much your modern type of attacker as with his agile dribbling and preference to attack from deep, he is still able to operate either centrally or out on the right. In fact much of Monaco’s success this season has stemmed from their dynamic attackers constantly intertwining and linking with one another, as their freedom to roam around the final third caused havoc to any opposition defence. With Lemar, United would simply be gaining a young and exciting prospect coming off the back of a star stellar campaign. With 14 goals and 14 assists this season in all competitions, if you placed Lemar in United’s squad then he would be the second top scorer behind Ibrahimovic and also top the assist charts. There is no doubting that the Frenchman is still a raw product but under the right man management and guidance, he looks to hold all the right tools to flourish into a world beater. Is Perisic a better fit for Mourinho? The signing of Perisic from Inter Milan has rather split fan’s opinion as whilst he would provide as a solid signing in bolstering the squad, many have questioned the £50m price tag for a 28 year old who doesn’t possess that clinical and killer edge final product. Through watching some games of the Croatian winger and also looking at Serie A fan’s opinions on the player, there does seem to be a question over his consistency to perform at a high level, despite evidently holding that something special in his locker. On the other hand, Perisic does look to fit Mourinho’s agenda well and certainly looks to fit the Portuguese’s requirements in terms of what he demands from a winger. As we have seen through the high volume of minutes that Jessie Lingard has endured this season, Mourinho loves nothing more than a workhouse that does not shy away from his defensive duties. This is where the admiration of Perisic from Jose must stem from, as due to the Croatian’s physicality he does admittedly look like he would adapt to the style of the Premier League rather well. Despite Thomas Lemar looking set to one day flourish into a world beater, I personally believe United fans should be confident in putting a bet on the arrival of Perisic (unless of course we get the dream return of a certain Portuguese). As a hard working and robust winger, Perisic on paper looks the perfect type of a Jose Mourinho signing. With Champions League football to come next season, Jose is no doubt looking to bolster the current squad into a more complete and comprehensive one and the signing of a player like this is certainly a step forward in doing so. Perisic is certainly an upgrade on choice for wingers in comparison to the likes of Lingard and Ashley Young and the mixture of experience to youth with Martial could find the perfect balance out on that left flank. Although Martial has endured a rather difficult campaign this year round, perhaps the spurring on to perform with competition behind him is the key to unlocking his hidden away confidence. Although Lemar looks a sensational talent, one would surely expect Jose to opt for a more robust and solid option, particularly with the young talent that we already possess.